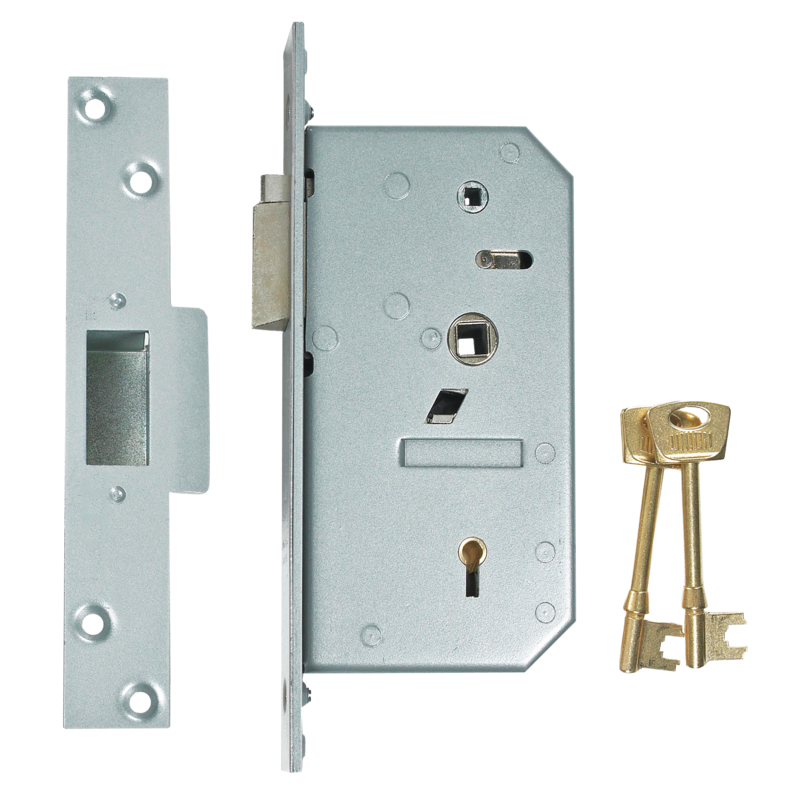 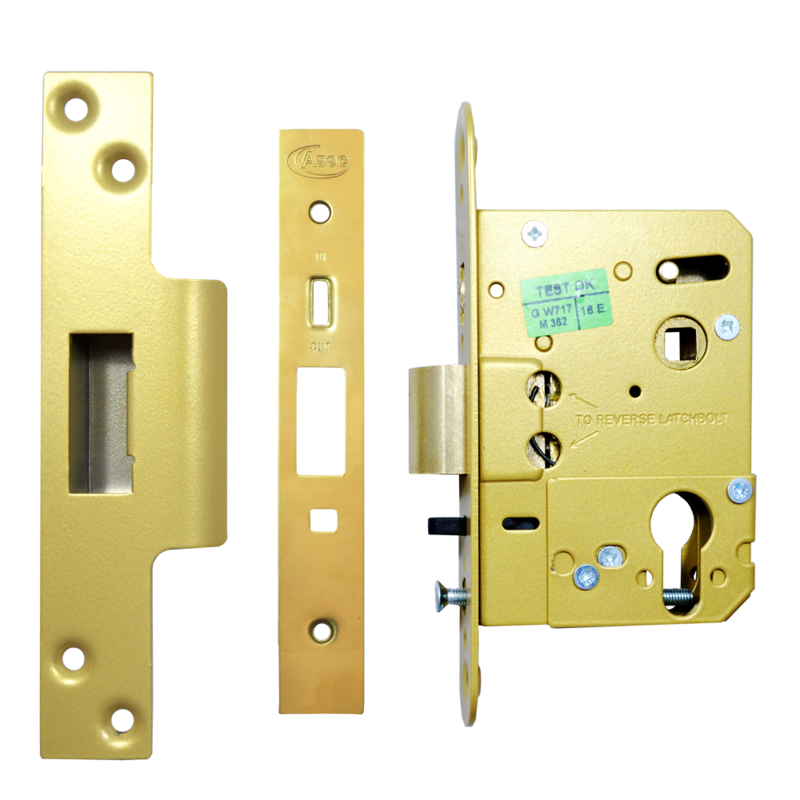 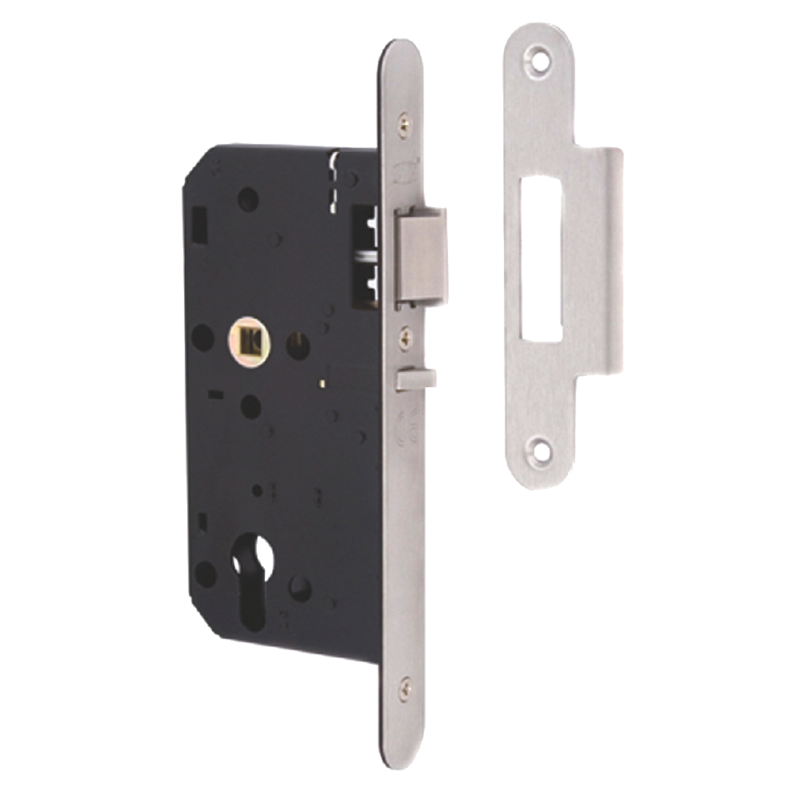 This Asec dual profile mortice nightlatch case has an oval cut out and wrap around plate with a euro cut out held in place with 3 machine screws, it takes a euro cylinder out of the box however to change it to take an oval cylinder simply remove the 3 screws and slide the plate off. 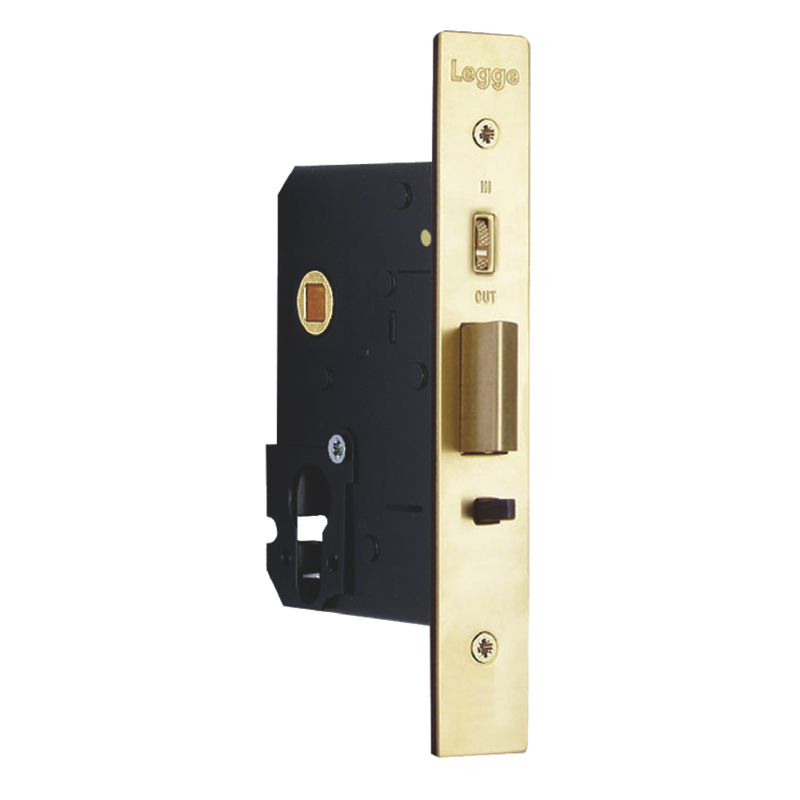 It has an integral knurled wheel roller to hold the latch in the retracted position for passage mode, has a field reversible latch bolt and is fitted with an antithrust device making it ideal for access control applications. 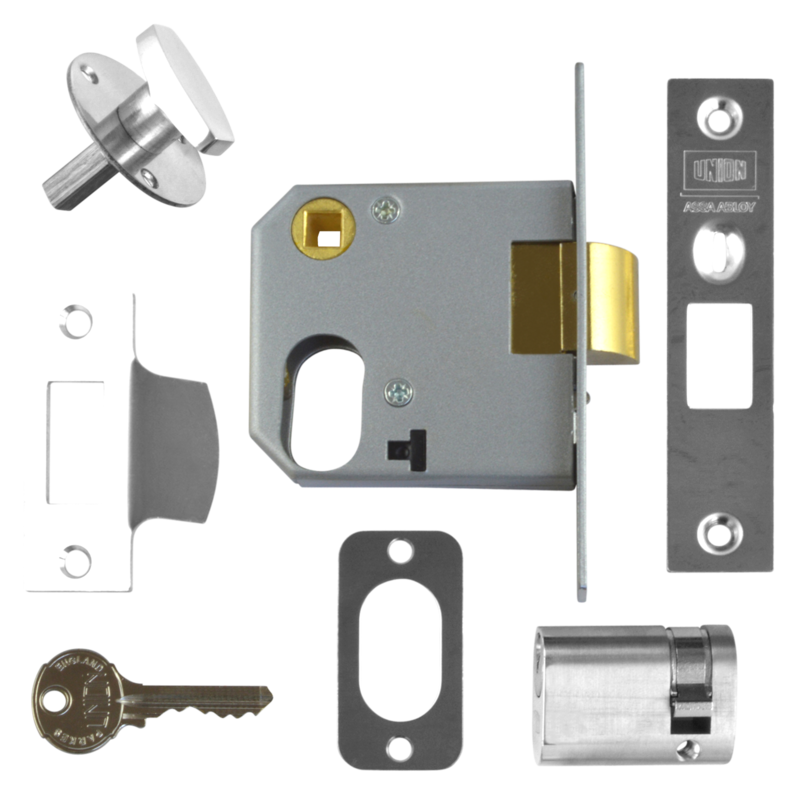 The versatile dual profile cylinder mortice nightlatch comes complete with a box strike, faceplate, fitting instructions (including a scale fitting template) and all fixings. 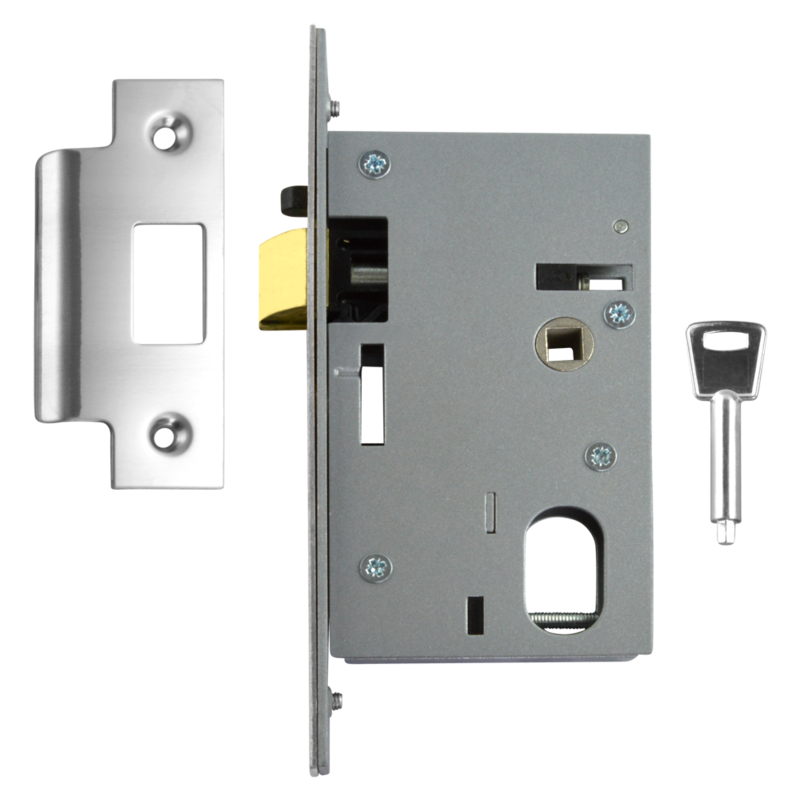 With a 65mm backset and 72mm centres, this Asec lever operated latch case is ideal for use on garages. 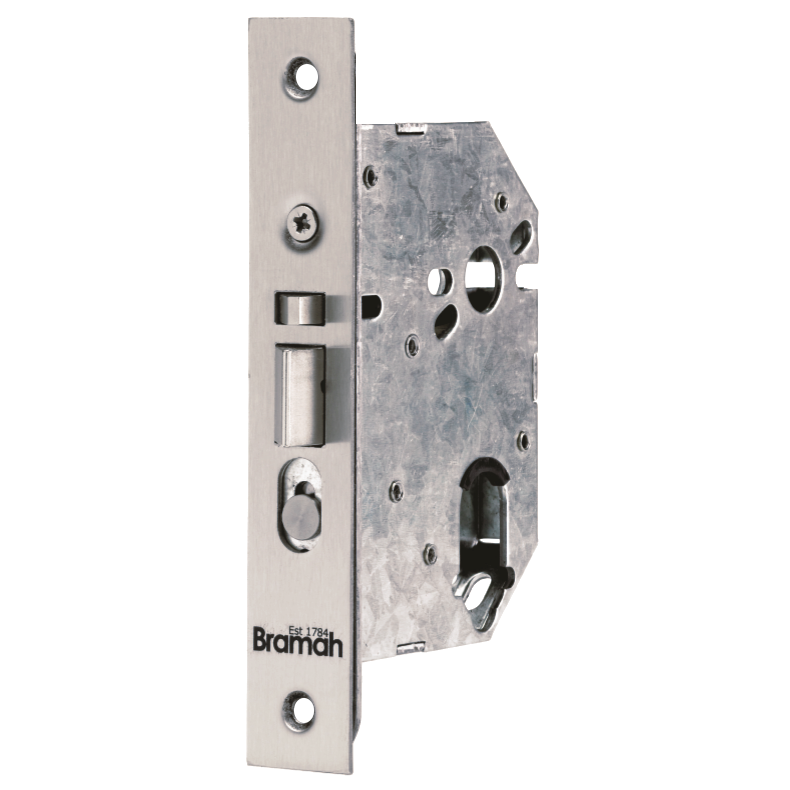 Featuring a single spindle and an adjustable screw for the latch, this unit is fully reversible by simply flipping upside down. 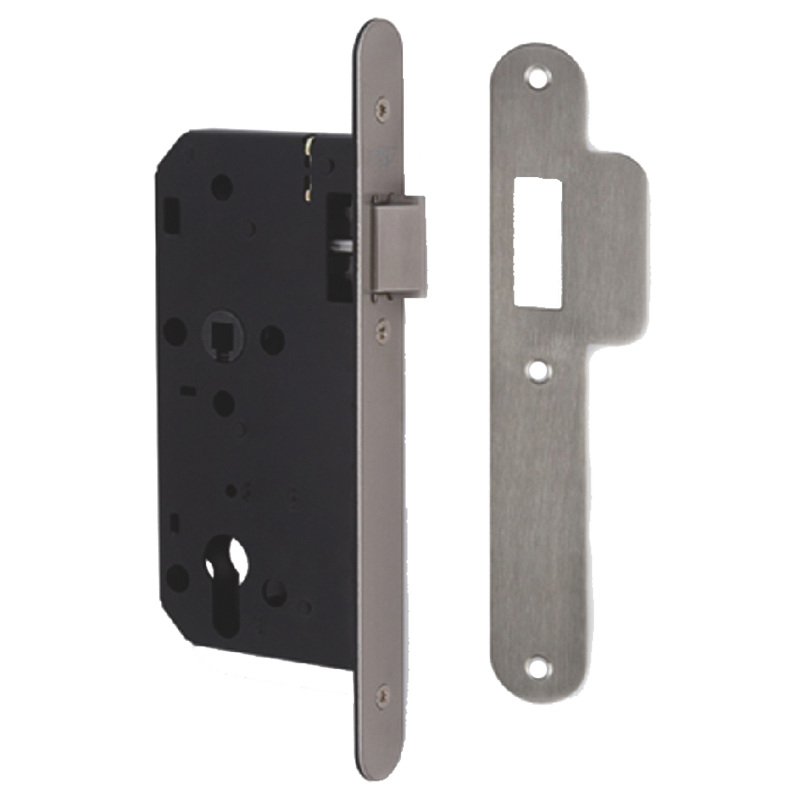 The Kaye 57mm Nightlatch with Snib by Bramah is designed to automatically hold the door closed and locked while allowing immediate escape with handle. 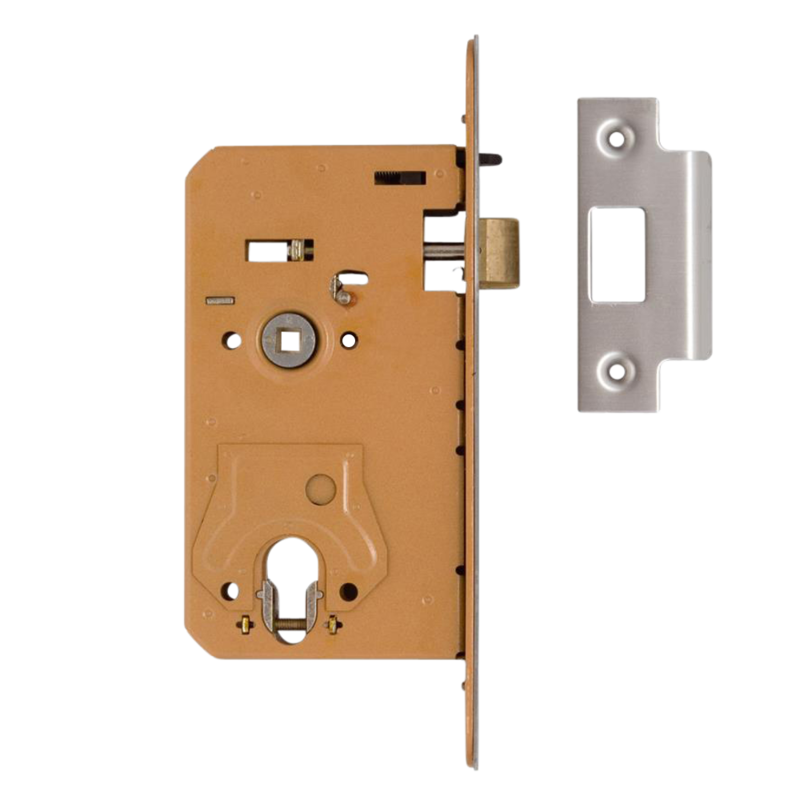 It features a euro profile with a 77mm case. 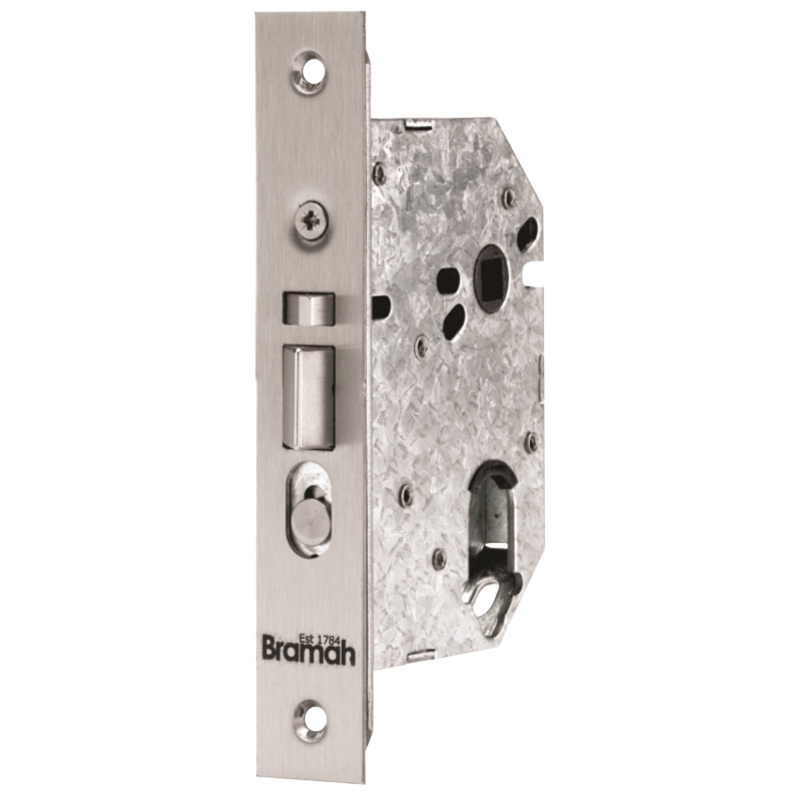 The Kaye 57mm Nightlatch with Snib by Bramah is designed to automatically hold the door closed and deadlocked. 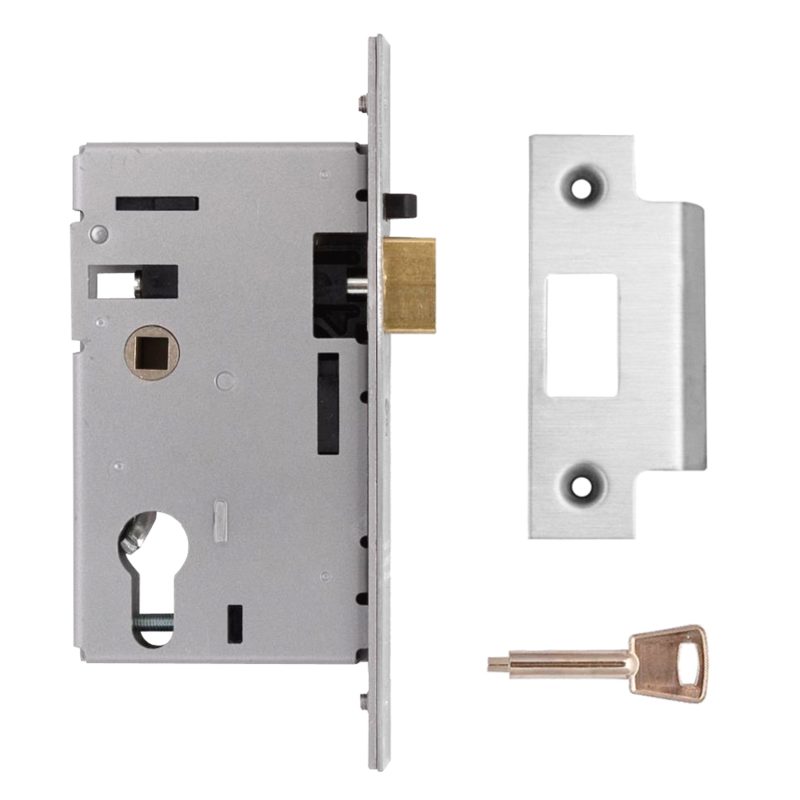 It features a euro profile with a 77mm case.